The weight of student loans can make you feel overwhelmed, confused and like you’re drowning under the debt. It can feel completely unmanageable. What’s even more challenging is that there are a ton of scams out there that prey on your lack of knowledge or fear. 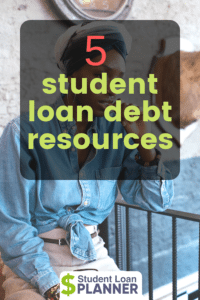 If you need guidance on repaying student loans and don’t know where to go, we’ve rounded up five places that offer legit student loan help. It can seem like your loan servicer is not your friend. Maybe they don’t have the best customer service, for example, but they do have resources to help you with your student loan debt. They can guide you on which repayment plan is best and can assist you if you need to go on deferment. It turns out many people who qualify and would benefit from the income-driven repayment plan haven’t signed up. Many borrowers who are near default or currently in default would benefit from this plan by getting back on track with affordable payments. Try to make friends with your loan servicer and understand the repayment options available to you. They want to be your go-to help for paying student loans. Ok, it’s not fun to comb through, but going straight to the horse’s mouth — the Federal Student Aid website — for information is one way to get student loan help. There is a lot of information about repayment plans, student loan forgiveness, death discharge, Total and Permanent Disability Discharge and more. Also, there’s a pretty comprehensive FAQ section on income-driven repayment. Income-driven repayment is made up of four plans, and while similar, can differ in eligibility and terms. That guide can help answer some of your questions. You can also learn the ins and outs of getting out of default. The Consumer Financial Protection Bureau (CFPB) was created as a resource for consumers. It has a ton of information for student loan borrowers, including helpful key terms, repayment plan options and important information about your rights. You can get student loan help from the CFPB as a non-scammy resource. It has a tool that helps you optimize your student loan payments, too. Fill out the questions, and the CFPB offers helpful tips on how to repay your student loans. Of course we’re biased, but we’re proud of the valuable student loan help we’ve offered our clients. On our blog, we write content specifically to help a variety of student loan borrowers. Many of our clients have more than six figures in debt, and we know how tough that is. Aside from the free content we provide, we also offer one-on-one consultations. These sessions help you get a custom student loan plan that’s specific to your situation. Yes, a session costs money, but depending on your situation, it can potentially save you a lot of time and thousands of dollars in mistakes. If you feel happy and content with your student loan repayment, then keep it up! But if you’re stressed, confused and want more understanding about the nuances of your situation, we’re here to help. Before spending any money, weigh your investment against what you’ll get out of it. We’re here to empower the SLP community to make the best decision for themselves, with or without us. But sometimes having someone who has the expertise to guide you through can mean the difference between being stressed and feeling empowered because you have a plan. Either way, we’re here to help. Do you feel like you have a super complicated case that requires a lot of help? Hiring a student loan lawyer might be in order. Yes, that’s a thing. There are student loan lawyers like Adam Minsky and Jay Fleischman who can help you with your student loan issues. 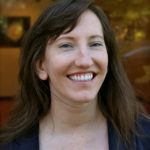 Minsky works in Massachusetts and New York, while Fleischman practices in California and New York. They advise on a number of student loan-related issues, like being in default, complex situations with your lender or loan servicer, fraud, settlements and more. If you feel like you’ve exhausted all of your options and you’re stuck, hiring a student loan lawyer can help you take action. Sometimes taking action ultimately helps you save money by resolving issues faster. There are numerous free student loan debt help options that provide information and resources. Just like most of us can technically cook at home or make coffee, we happily spend money on Postmates and Starbucks because we find value in it. But if you feel stuck or frustrated, hiring an expert could help. If you find value in getting help paying student loans with a paid expert, that could mean less headaches and stress in the long-term. The key is to do what feels right for you while exhausting what options are available to you. Regardless, there is student loan help out there, so you’re never alone.